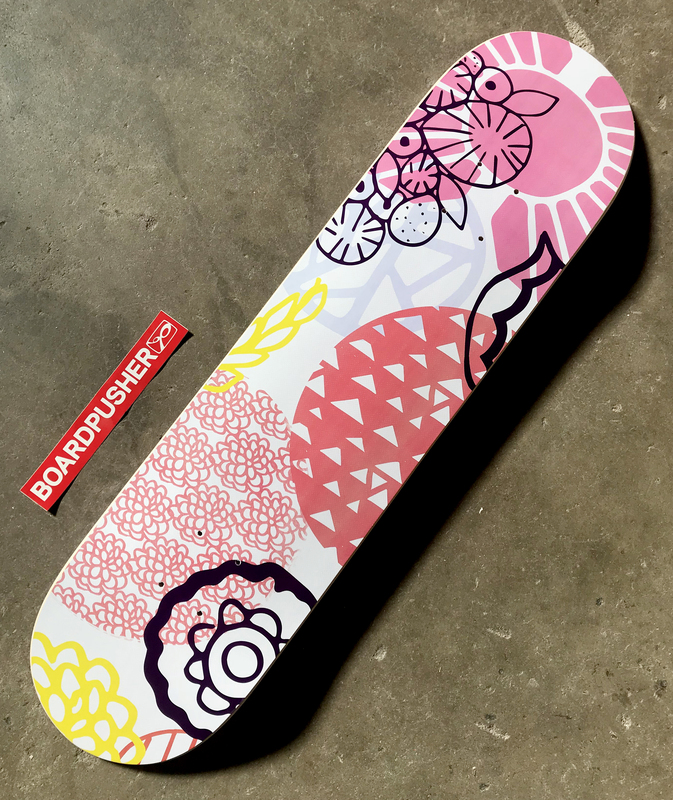 Christie Russert just launched her Sunshine Canteen and decided to include her designs on skateboards for her new brand and we thought “Maeve” was a good choice for our BoardPusher.com Featured Deck of the day. Christie’s work combines elements of nature, vintage design, and that laid back west coast vibe, which you can see more of at sunshinecanteen.com, following her on Instagram @sunshinecanteen, or viewing her other skateboard graphics at BoardPusher.com/shop/sunshinecanteen. Skate your own brand by creating custom skateboard graphics at BoardPusher.com.